With the introduction of the Curriculum for Excellence, the Art and Design Department has as its focus the development of the subject in its broadest sense. We offer NVQ4, NVQ5 and Higher Photography, along with National 5, Higher and Advanced Higher Art and Design. The use and development of Photography, Computer Aided Design, Fashion Design, Printmaking, Sculpture, Ceramics, Drawing and Painting, as well as collaboration on a number of whole-school projects like the production of The Victorian school magazine and the pupil yearbook all have as a central theme, the development of collaboration across subject departments. Performance in the National 5, Higher and Advanced Higher exams with results well above the national average only tell a part of the picture, as pupils are accepted onto the courses at any point in their senior development. 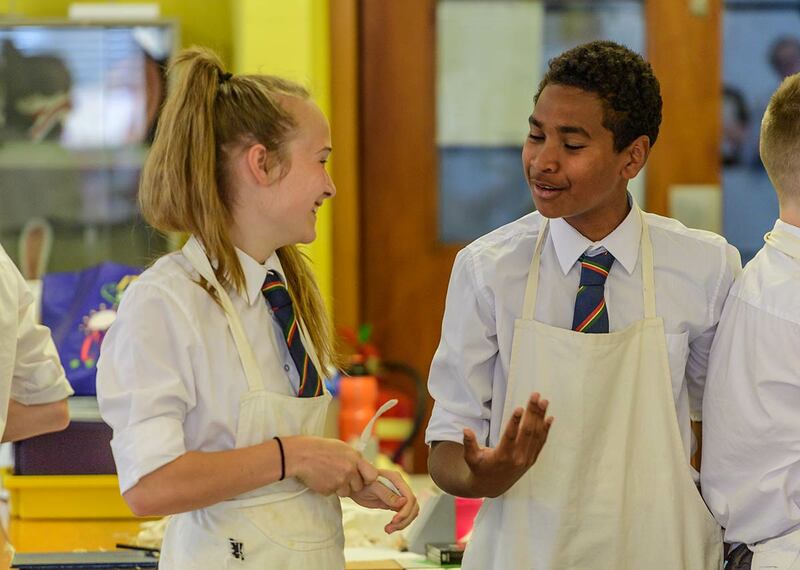 The Art and Design Department at Queen Victoria School will find artistic strengths in any pupil who shows an interest in being involved in a creative way. Committed to lifelong learning, the staff in the Art and Design Department are trained to the highest standards and are all involved in continual personal development while reflecting on their own performance and providing proof of good practice. Pupil evaluations are used to update course development continually and to develop the use of the pupil’s voice in our course design, with staff and pupils in the ideal position to embrace the possible future development of Rich Tasks and Learning Teams here at Queen Victoria School over the next few years. On this foundation the Art and Design Department are ready and eager to move forward with the current national education agenda and develop the higher order skills needed by the next generation of our pupils here at Queen Victoria School.